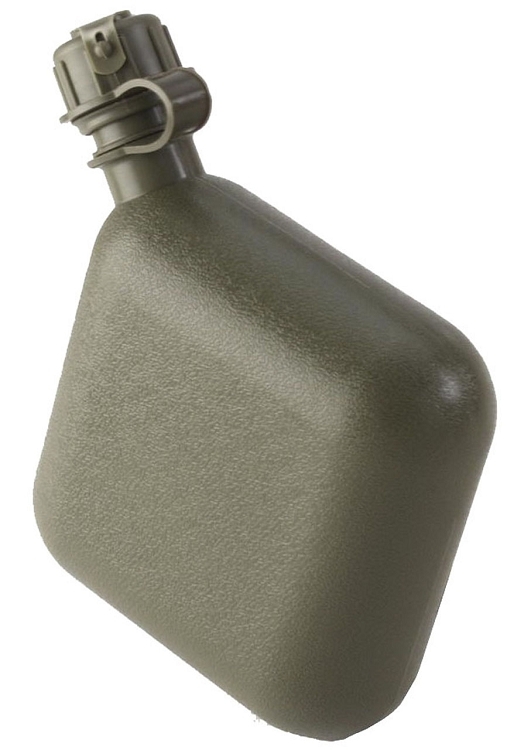 New or Used 2 Quart Olive Drab Collapsible Canteens! Heavy duty High Impact Plastic! NBC- Nuclear, Biological, Chemical Cap Available! will hook straight to gas mask without having to remove the mask.